This casual event for first-time conference attendees will provide a quick overview of conference events to help you get the most out of your conference experience. You will also have the opportunity to meet GIA’s board members and staff. The reception will be held in the  California Ballroom at 1736 Franklin Street. The conference Opening Reception will follow immediately after this event. The Opening Reception will take place on Sunday evening in the Tortona Big Top Tent at 1911 Telegraph Avenue. The Opening Reception will kick off the conference in a fun and casual atmosphere, with music provided by Bay Area percussionist, John Santos. Seven-time Grammy-nominated musician, US Artists Fontanals Fellow, and 2013-2014 SFJAZZ Resident Artistic Director, Santos is one of the foremost exponents of Afro-Latin music in the world today. He has performed and/or recorded with acknowledged, multi-generational masters such as Cachao, Dizzy Gillespie, Tito Puente, Bebo Valdés, and Carlos Santana, among countless others. Santos currently directs the highly acclaimed John Santos Sextet Latin jazz ensemble. Taking advantage of being in downtown Oakland, this year’s dine-arounds will include a wonderful variety of cuisines and experiences. These no-host, informal dinners offer a chance to socialize with colleagues and experience vibrant diversity of Oakland and its food scene. Signup will be onsite at conference registration on Monday. Participation is first-come, first-served. Find your group at 6:15pm. Departure will begin as soon as groups can gather. On the final night in Oakland, conference attendees will gather at the Oakland Museum of California (OMCA) for a celebration and dinner from 6:00-8:30pm. The mission of the Oakland Museum of California is to inspire all Californians to create a more vibrant future for themselves and their communities. When the museum first opened its doors more than forty years ago, it brought together three historically independent disciplines – art, history, and natural sciences – under one roof. This progressive multidisciplinary approach was to celebrate the many facets of California. The collections – comprising more than 1.9 million objects – and programs explore and reveal the factors that shape California character and identity, from its extraordinary natural landscapes, to successive waves of migration, to its unique culture of creativity and innovation. The evening’s festivities will be held in OMCA’s California History Gallery and Koret Community Plaza, where guests can gather together, dance to the eclectic and energetic vibes of B-side Brujas, and explore the gallery tracing native history and contemporary relationships to the land, to political forces of change rooted in Oakland’s history of activism, to future imaginaries of California to come. In addition, the museum store will also be open and features jewelry, gifts, books and media, wall art, and home décor. Buses to the Oakland Museum of California will begin to depart the hotel at 5:30pm. 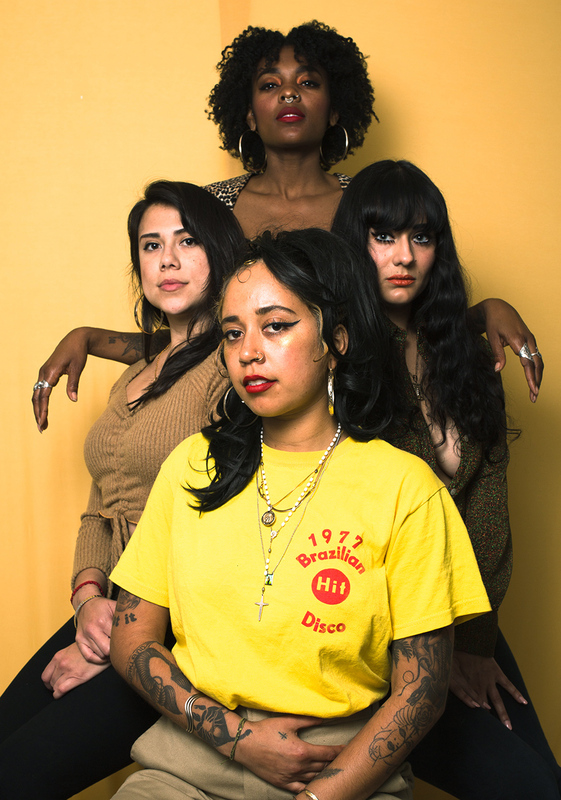 B-Side Brujas is an all-lady-of-color vinyl DJ group based out of Oakland. The music they play reflects their stories and provides an opportunity to express themselves and call for unity despite differences. Their record collections are heavily influenced by Soul, Funk, Old School, Afro-Latin & Brazilian genres. Most of their events are fueled with the energy of the people that join them. B-side Brujas believe in the medicine of dance, music, and setting intentions. They will have you dancing against your will!